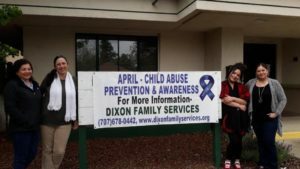 Dixon Family Services is a community-based organization serving Dixon and the surrounding rural areas since 1984. Our one-stop-shop of social services helps hundreds of people each year achieve goals such as employment, financial stability, improved nutrition, escape from domestic violence, sobriety, emotional wellness, positive parenting skills, safe and healthy homes and family cohesiveness. Many are now active and giving members of this community. National Child Abuse Prevention Month is an opportunity to share the importance of individuals and communities working together to keep families safe and healthy. Everyone has a role to play in making sure that our community is a great place for children and families to thrive. When the well-being of children and families becomes the priority of everyone in a community, child abuse and neglect will decrease. All children deserve great childhoods and should be raised in healthy, nurturing homes, free from abuse and neglect. Children who are raised in supportive, stable and nurturing environments are more likely to lead healthy and successful lives. There is much work to do in educating families and professionals about child abuse/neglect and its profound effects. We need to educate parents about parenting skills and to create an aware and involved public about issues related to child abuse. You can take individual steps to ensure children are safe in your personal orbits and neighborhoods and you can also help by supporting organizations, such as Dixon Family Services, that have an overarching goal of preventing child abuse, neglect and other adverse childhood experiences (ACEs) with prevention, early intervention and treatment programs. 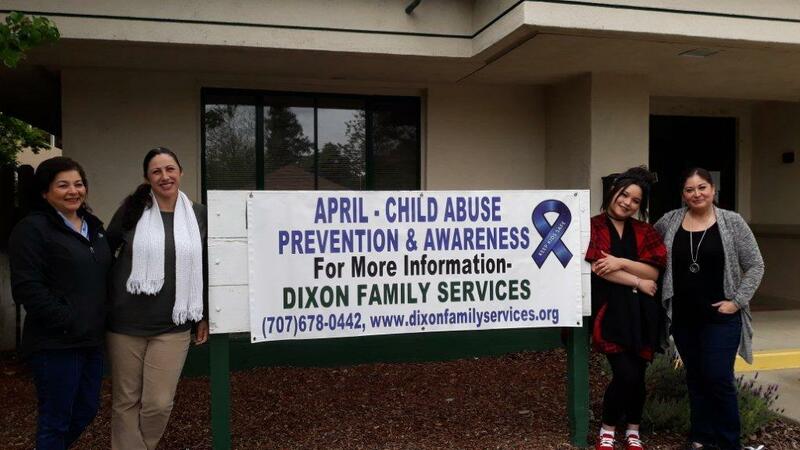 Dixon Family Services is dedicated to providing information and referral services to as many families as possible. Increased knowledge in signs to look for, access to community resources, prevention of child abuse or neglect, how to report abuse, and breaking terrible cycles of abuse are some of the positive results from our efforts. Children who have suffered from abuse and/or neglect are at a significant disadvantage in the areas of social, emotional, and academic development. Victims are likely to exhibit at-risk behaviors in early childhood and adolescence. Many will go on to become perpetrators themselves, often victimizing their own children. Survivors of child abuse are also likely to have low self-esteem, become substance abusers, and have mental health problems including depression and posttraumatic stress disorder. Many inmates in prison report that they were victims of abuse in their childhood. It is our belief that an increase in knowledge and access to services can reduce child abuse, increase family stability, bring families closer to self-sufficiency, reduce crime and reduce the number of families in need of government benefits. Child abuse/neglect is found in families of all socio-economic backgrounds and cuts across lines of ethnicity, culture, and education. There are a number of factors that can create increased risk of child abuse including lack of parenting skills, teen pregnancy, substance abuse, mental illness, poverty and substandard housing conditions, domestic violence, and a parent history of child abuse. These same risk factors are barriers to abusers’ acknowledgement of the problem and ability to access help such as counseling, parenting classes or other approaches to help stop the abuse. 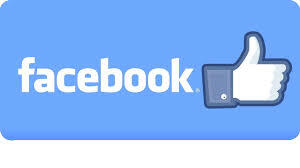 Dixon Family Services is a one-stop shop of social services. We have counselors that provide substance abuse prevention and treatment, mental health services for all ages, support groups, and referrals to other behavioral health agencies. Our case management department provides support in basic needs, such as rental assistance, budgeting, employment development, food and other family strengthening supports. As a Family Resource Center it is our policy to identify and support The Five Protective Factors: 1) parental resilience, 2) social connections, 3) knowledge of parenting and child development, 4) concrete support in times of need and 5) social and emotional development of children. We have representatives from WIC (Women, Infants and Children), Medi-Cal, Covered California, Cal-Fresh (Food Stamps), Section 8, Cal-Works, Legal Services of Northern California, Safe Quest Solano, Solano Food Bank and others each week at Dixon Family Services to make it convenient for Dixon residents to access all services. Dixon Family Services has a history of being very involved in the community with longstanding partnerships and collaborations. 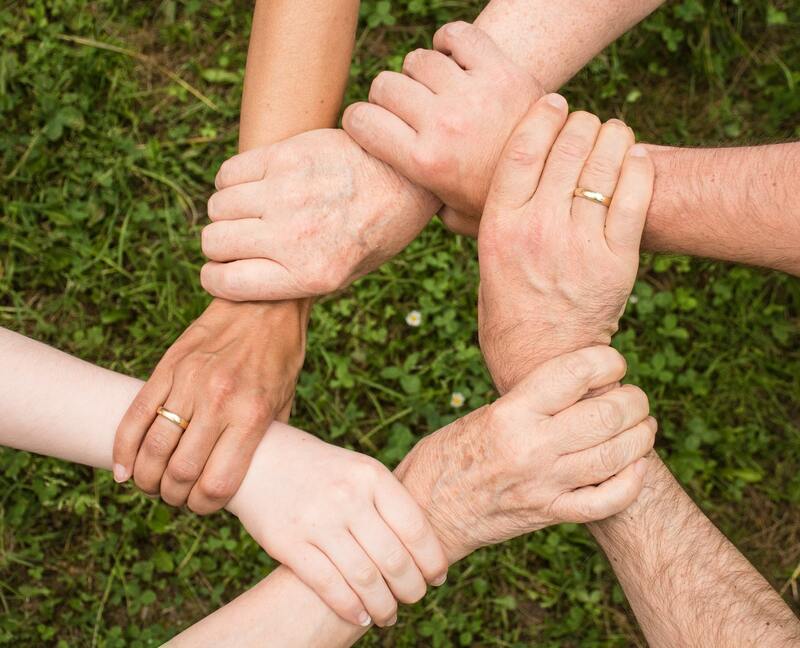 We formed a community-wide collaboration of churches, clinics, school counseling, food programs, police, library, legal aid, domestic violence, nutrition-focused and Solano County Departments or agencies that can provide various types of human services to Dixon’s residents. 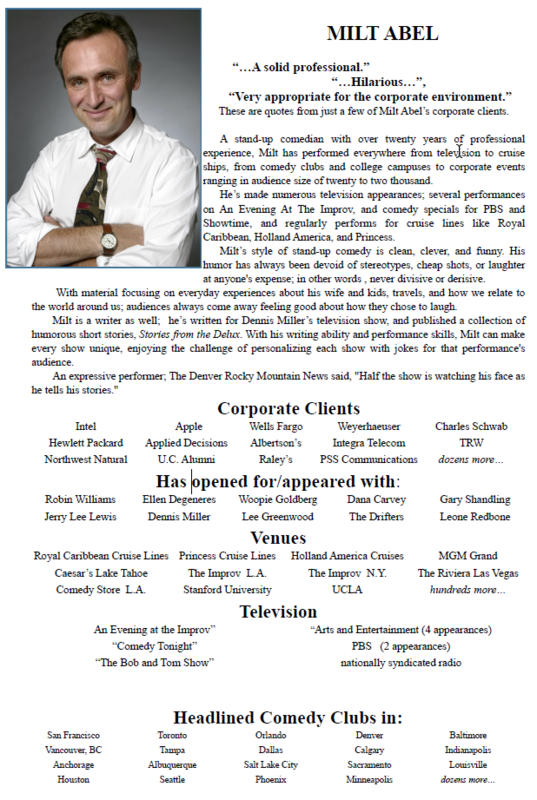 Meeting monthly, we each share about our programs and services that can be helpful to clients that we may have in common. We also discuss needs, barriers, trends and possible solutions. A release of information signed by people seeking help allows us to assist them in a more focused and substantial way by reaching out to and including our partners as part of the holistic approach to service delivery. We continue to work with our partners to reduce incidences of child abuse and neglect. We will seek out additional funding sources. Additional funds will allow us to see more people with more in-depth services and to follow their cases for longer periods. We want to meet families at their readiness levels and build from there. Unrestricted funds are needed to serve the families who normally “fall between the cracks”, including the most vulnerable populations, people living at or below poverty, families living paycheck to paycheck as well as undocumented residents. Family Basic Needs – Case management, action plan, employment development, job search, supplemental food, housing and utilities assistance, budgeting, parenting education, referrals to other helping agencies, all on case-by-case determination. 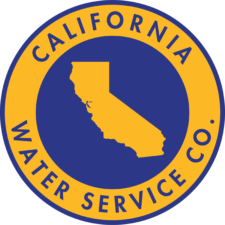 Outstation for Multiple Government Programs – DFS building provides offices for WIC Program, Section 8, CalWORKs, Food Stamps, MediCal, Covered California, Food Bank Produce Truck, Legal Services of Northern California, SafeQuest Solano, Inc.